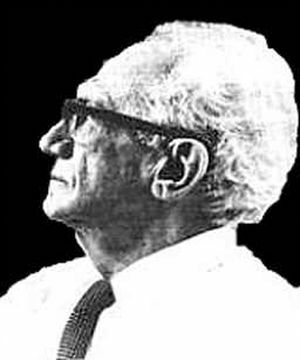 “The work of Velikovsky could be assumed to defend Jewish nationalism. It could be assumed to defend fundamentalism. It could be considered anti-materialist, anti-determinist, and obscurantist.”Alfred de Grazia, The Velikovsky Affair, “Ch. 6. The Scientific Reception System“, Edited by Alfred De Grazia. Online at the Grazian Archive. “[Owen] Gingerich’s other statements to the press appeared in Newsday and in Rolling Stone. Both of these magazines quoted Gingerich as saying that the reasons for Velikovsky’s popularity were his “literal explanation of miracles” and “the appeal of Old Testament fundamentalism.” People like Gingerich cannot accept Velikovsky’s disavowals of fundamentalism, even when they hear them from Velikovsky himself. Thus in San Francisco Gingerich sat watching and listening when Velikovsky spoke of his frequent “disagreement with the Bible” and when he said, “I am not a fundamentalist at all, and I oppose fundamentalism.” That isn’t what Gingerich wanted to hear, so he went around saying the opposite anyway.”Lynn E. Rose, “The AAAS Affair: from Twenty Years After”, in Stephen Jay Gould and Immanuel Velikovsky (1995) Edited by Charles Ginenthal. 1. ↑ Alfred de Grazia, The Velikovsky Affair, “Ch. 6. The Scientific Reception System“, Edited by Alfred De Grazia. Online at the Grazian Archive. 2. ↑ Lynn E. Rose, “The AAAS Affair: from Twenty Years After”, in Stephen Jay Gould and Immanuel Velikovsky (1995) Edited by Charles Ginenthal.